Deep breaths can settle your nerves, and now scientists have discovered the neural pathway in the brain that controls this process. In an experiment on mice, scientists identified a circuit of neurons — a tiny cluster of a mere 350 nerve cells, among millions in the mouse brain — that regulate the connection between breathing and the higher-order brain activity that affects how calmly or worked up the mice behaved. A paper describing the work was published today (March 30) in the journal Science. 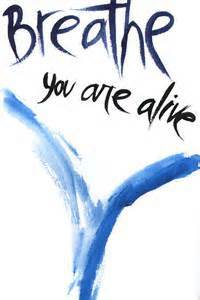 Breathing is largely an unconscious, involuntary action that's among the most basic rhythms of life. It is the process in which most animals inhale oxygen to create energy at a cellular level and then exhale carbon dioxide, the byproduct of this cellular respiration. Yet humans have known for millennia that taking long, slow, deep breaths can have a calming effect and reduce stress. Conversely, panic attacks can cause a person to take short, fast breaths, further exacerbating the sense of unease. Researchers have known that neural circuits throughout the brain regulate breathing, but until now, they had not pinpointed the neural pathway that connects breathing to the emotional states of anxiety and calmness. In the new work, a team led by Dr. Mark Krasnow, a biochemistry professor at Stanford University School of Medicine in Stanford, California, searched the main region of the brain that controls breathing rhythms — called the pre-Bötzinger complex — which is nestled in a rudimentary section of the brain stem called the pons. In an experiment that was the culmination of years of work involving techniques such as neural mapping and genetically engineered mice, Krasnow's team zeroed in on the responsible circuitry. The team found a subset of neurons in the pre-Bötzinger complex that transmits signals to a region in the pons that moderates feelings of alertness, attention and stress. They also found that these neurons express two proteins, cadherin-9 (CDH9) and developing brain homeobox protein 1 (DBX1), which are controlled by the Cdh9 and Dbx1 genes, respectively. The researchers then turned to genetically engineered mice, in which they could mute the Cdh9 and Dbx1 genes. This enabled the researchers to select and kill the approximately 350 neurons that are thought to connect breathing to arousal, yet leave all the other neurons untouched, according to the study's lead author, Dr. Kevin Yackle, an assistant researcher at the UCSF School of Medicine. Afterward, the researchers found that the mice spent more time in a calm state. Although deep breathing is an easy and safe way to control anxiety and stress, Yackle sees potential for developing medicines that target these genes. "In panic disorders, it may be nearly impossible for one to control breathing," Yackle told Live Science. "Therefore, a pharmacological approach may be critical for preventing these panic attacks triggered by hyperventilation." Yackle also said that sudden infant death syndrome (SIDS) may result when the brain doesn't sense a lack of oxygen while the infant is sleeping, and thus doesn't arouse the body. Some babies may be at higher risk for SIDS for reasons of genetics or because they were born prematurely. In these cases, babies at the highest risk for SIDS might benefit from a therapy that improves the neural signaling between oxygen intake and arousal, Yackle said.